You might wonder why do we need a museum for our own food and recipes, right? After all this is India and we all know what Indian food and recipes are like, why build a museum? Food Safety nd Standards Authority of India feels differently, and they are in serious contemplation about building a museum themed around traditional Indian food. Let us first take a look at what our children eat today. Most parents struggle with making their children eat traditional food. Kids want burgers, fries, pizza, sandwiches, colas and other fast fod items all the time. They are no longer interested in eating the gatte ki sabzi your mom made for you when you were a kid! Compare this food with the food your grandparents used to eat. What do you see? No similarities of any sort, right? We are slowly changing our food culture as we are exposed to and adapt to the Western world. We are foregtting our traditional food and recipes with every passing generation. Just try to imagine the kind of food your children will be cooking when they are adults - it will probably not be the traditional food your granparents ate! This is why we need a museum to archive all our traditional food items, spices and recipes. 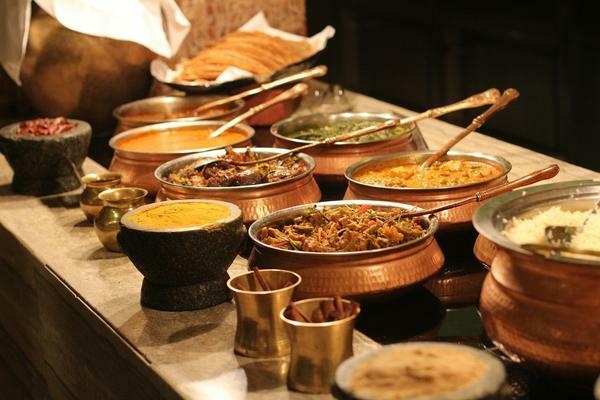 CEO Pavan Kumar Aggarwal from the FSSAI says, "There is currently no one place where information on India’s rich food traditions, heritage and customs can be sought. We are having discussions to come up with a concrete plan for such a space. We want to create a repository that will offer cultural context, nutritional and even pharmaceutical values of Indian cuisines. It won’t be about dishes and taste alone but the science of food." There are other food museums in India, but this will be the very first Indian traditional recipe museum. Stop Food Loss to Stop Climate Change. Try This Navratan Pulav Recipe! Give A Mango Twist To The Pana Cotta! Enjoy Hot Tawa Pulao at Home!